If you’re a graphic novelist who went to high school and middle school with Jeffrey Dahmer, then you’ve got to write about it. And Derf Backderf does, in a remarkably human portrait. And it is more of a portrait than a narrative. Although it seems like Backderf was more than friendly with Dahmer–he describes a few outings and adventures with Dahmer–they definitely were not close friends, and it’s not like Jeffrey was ever driven to confide in him. Given that, Backderf is only able to sketch an account of how Dahmer acted and spoke, and what his social environment was like. Although he does a commendable amount of research and attempts to recreate Dahmer’s private life, he never manages to get to the heart of what Dahmer kill. Which is totally fine! In fact, I liked it that way. 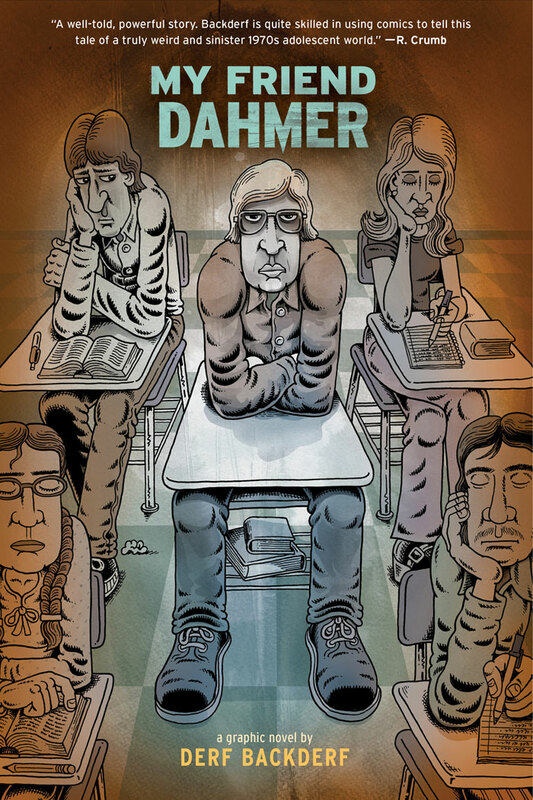 The book does its best to portray the human side of Dahmer: the seventh-grade nerd; the ninth-grade clown; the twelfth-grade burnout. At all points, that Dahmer, although very strange, is a recognizable quantity. And when we see, in the other sections of the story, the places where Dahmer’s dark side comes close to the surface, it’s shocking. In fact, in Backderf’s portrait, Dahmer himself is shocked by himself and by the things he does. I enjoyed it. A good performance. It’s definitely pretty different. The art is very expressive too. I forgot about that.